When it comes to getting a page of top results for your search query out of the unfathomable amount of information content text code online, it makes sense to get a second opinion every once in a while. 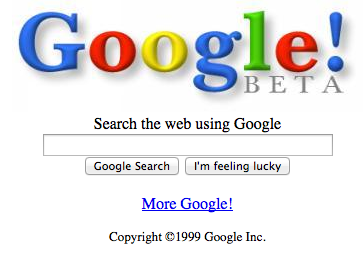 Visually, the Google search page looks much as it did during its 1999 launch. Conceptually, however, it is a whole different story. Without getting caught up in the full laundry list of changes and baggage that have piled up over the years, or how well Google has kept to not being evil, let’s first consider the search itself. There are more parameters behind which results you get served than ever before. The critical change is the shift of emphasis on the objective value of the data to the subjective nature of how it all applies to you. Personally. Your web history is now being interpreted as a profile of your person and you are in turn being given the results your profile says you will want to see. Unfortunately, the very nature of searching implies a lack of knowledge. If you knew what you were looking for, you wouldn’t be searching for it. Without knowing it, our own ignorance is being fed back to us, creating a bubble that potentially cuts us off from the information we would need to actually understand a subject. Meanwhile, the proverbial permanent record that plays bogeyman for school children has suddenly broken through the dream into reality, and we are writing it ourselves with every new search and click. Once it is stored, it can be sold to the highest bidder or simply requested by whatever authority feels they have the authority. Furthermore, new uses for this data are being pursued around the clock, meaning we don’t yet know its potential for being used to help or harm us. Give it a try. 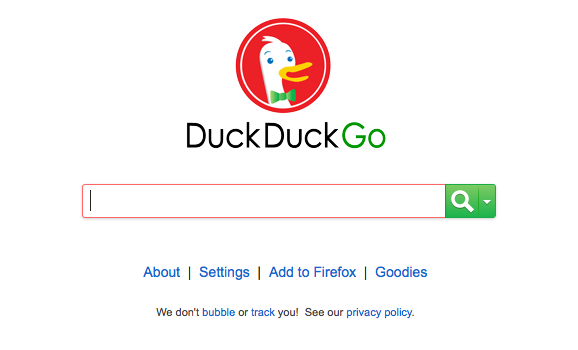 If you’d like to know more about search engine tracking or the little search bubble you’ve been encased in, DuckDuckGo has set up presentations on both matters at DontTrack.us and DontBubble.us. The anti-tracking app suggestions at the bottom of the first are eye-opening all on their own. And don’t forget the goodies! Disclaimer: This post has been influenced to an unknown degree by there being a duck involved. Thanks for sharing. What a fun search engine and a good reminder of Google’s endless data collection.